Just two days after the design of Motorola’s first ever triple-camera smartphone was revealed, tipster Steve Hemmerstoffer is back with yet another Motorola-branded device. This time, though, it sports a whopping four rear cameras and presents a very unique design. Over the past couple of years, Motorola has developed two clear design languages – Moto smartphones boast circle-shaped camera modules on the rear while One-branded devices feature vertical camera setups in the corner. But this yet-to-be-named model doesn’t fit in anywhere. Rather than adopting Motorola’s usual camera setups, the smartphone boasts an array of sensors which are arranged into a square – some could argue that the device resembles Huawei’s Mate 20 Pro because of this. These cameras sit directly above a large Motorola logo and, together, are contained within a large rectangular bump. This huge camera module sits in the center of the phone’s rear panel, which itself may be carved out of brushed aluminum rather than glass. The cameras are accompanied by a dual-LED flash and ‘48MP’ branding which suggests the primary sensor will sport a 48-megapixel resolution, like the one expected on the Motorola One Vision. 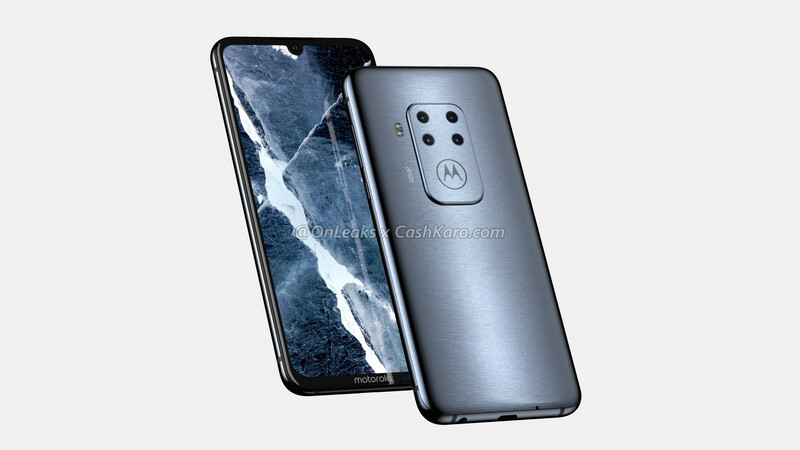 Details about the remaining cameras remain unclear at the moment, but Motorola could potentially fit the phone with a wide-angle camera and a telephoto alternative. The remaining fourth camera could then be one of three: a depth sensor, a monochrome sensor, or a Time-of-Flight sensor. Like the Motorola One Vision and One Vision Plus (or whatever it's called) which have already leaked, this Motorola device sports a large 6.2-inch display. There are, however, some very important changes. At first glance, the most noticeable difference is the lack of a cutout in the top-left corner. On the One Vision devices, Motorola uses this to house the selfie camera but on this particular smartphone, the Lenovo-owned brand has reverted back to the trusty U-shaped notch. This is paired with thin side bezels, a slightly thicker one above the display, and a larger chin below which is home to the Motorola branding. Also present is an in-display fingerprint scanner. Another key difference that may not be as noticeable in the renders is the different aspect ratio. The upcoming Motorola One devices sport extra-tall 21:9 displays, but this smartphone appears to boast a much more traditional 19:9 panel. This results in a device which is slightly wider but much shorter (158.7 x 75 x 8.8mm). Elsewhere, users can expect a USB Type-C port and a 3.5mm headphone jack along the bottom. Up top sits a SIM card tray and a speaker, while along the right side of the frame is a volume rocker and a power button. The left side of the phone is bare. This unknown Motorola smartphone will presumably be announced sometime later this quarter alongside the brand’s other devices – it’s currently working on the two One Vision devices mentioned above in addition to the Moto Z4 and Moto Z4 Play. The internal specifications of this device currently remain a mystery, but the 48-megapixel resolution of the rear camera does give us an indication of how the phone will be positioned. After all, this sensor has become popular among mid-range devices lately and is even expected to make its way into the OnePlus 7. This factor, combined with everything else the smartphone has to offer suggests it could be positioned as a Galaxy S10e and iPhone XR competitor, or perhaps just below these models at a cost of around $600 to $650. A premium model designed to compete with the Galaxy S10+ and iPhone XS Max does seem unlikely, though, considering Motorola exited that segment last year. I want 2 center cameras, and 1 at each corner (total of 6 cameras on the back) to take pictures with. This would be awesome! It's about branding and not about price. Branding will only get you so far. Features and options will carry the phone the majority of the way...price is the last factor. Hopefully the headphone jack sticks around for awhile with at least some OEM's. If a smartphone were a roller coaster, brand would be the chain that brings the cart up the hill. features and options are the twists and turns. You absolutely need both, no exceptions, to have a good ride. The price is the amount of time you're willing to late in line for it. Motorola is just a phone. Nothing special. I prefer this design over the one that is found on the One lineup. The design on the One lineup looks too generic IMO. Nothing is as good as the original moto x. That was a great phone. The G series does well. People have it. But they need to release something that has an outstanding camera, great software, and has an awesome screen. I know that can get expensive, but then people will buy it. Basically, it needs to be on par with OP7. I hope this is Moto's new flagship phone. 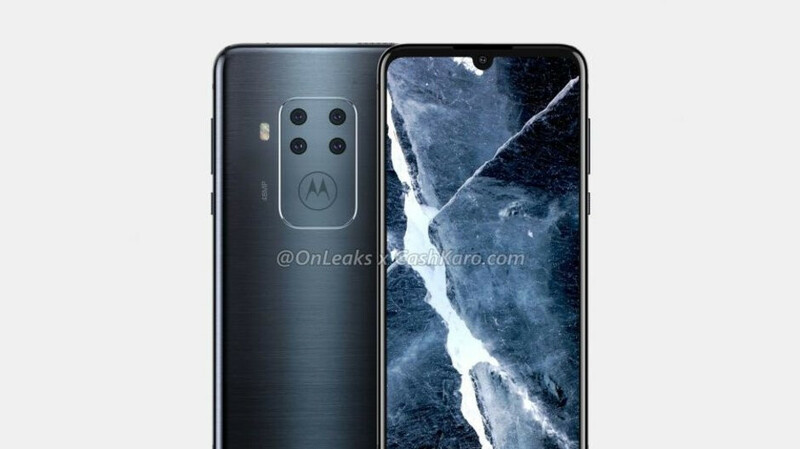 This phone should have *SD 855 *Dual speaker *Amoled screen *Competitive camera Hope this is Motorola’s flagship phone X5 (please make the X as flagship line) with flagship specs.